Follow the direction “hopitaux-facultés”, then take the road for Ganges. The journey to the Aubanel base will take approximately 30 – 40 minutes. Alternatively take the touristic route by going via St Etienne d’Issensac. The road is winding but spectacular. Despite its appearance, you can cross the bridge at St Etienne, as its maximum width is two meters. You can also take the bus, number 108 (Herault transport) departing from the tram station “Occitanie”, it goes to St Bauzille de Putois (stopping at “Rieutord”) – Ganges – Le Vigan. If you take this route, contact us beforehand to arrange a meeting point and time so we can take you to the base. Please ensure you know your return timetable, available from available conseil Général. 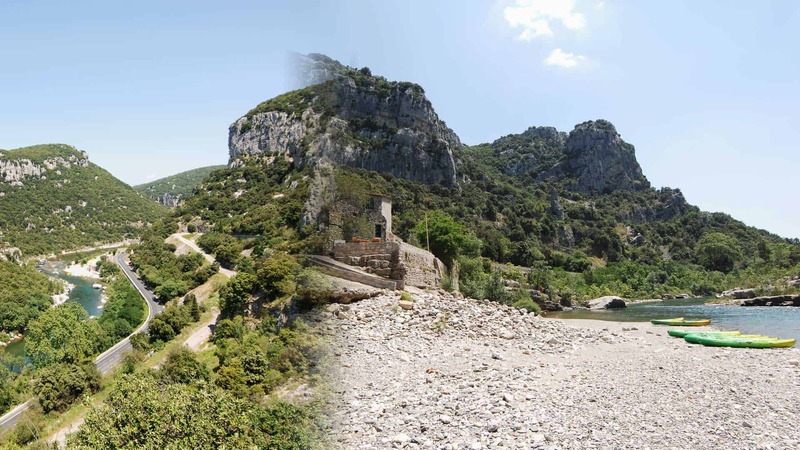 Take the direction, Quissac, St Hippolyte du Fort then St Bauzille de Putois. At the centre of the village take the direction Causse de la selle. In your smartphone’s GPS search “Canoë Le Moulin” and select the address of Saint-Bauzille-de-Putois. In your smartphone’s GPS search “Base Aubanel Canoë Le Moulin”.